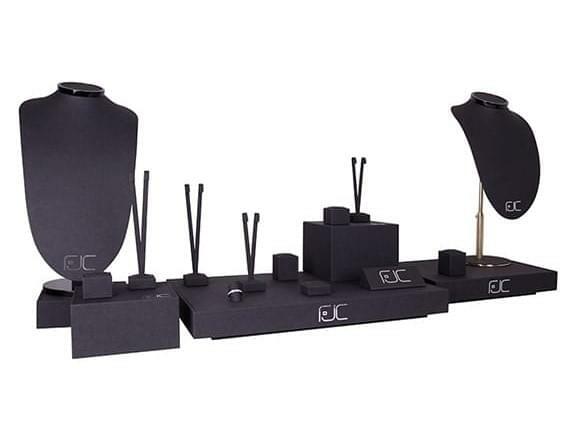 For a store the image is essential because it is the first approach of the customer with its products: so a jewelry display set should be set up in an accurate and strategic way. Sparkling diamonds and gaudy lapis lazuli themselves offer to the eyes and the imagination of the beholder an amazing spectacle, but your jewels can become even more attractive if you choose the right way to shed light on them. However, it is not enough to donate a good sight: it is also necessary to excite all the 5 senses and to transport your customers in a magical world, made of crystals, rubies and emeralds. 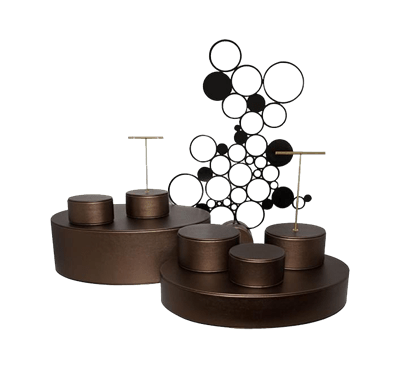 Why is it important to choose carefully a jewelry display set? Typically, when you are near a jewelry store, it is impossible not to be enraptured by the beauty of the products exhibited on the jewelry display: so why not highlighting them even more using custom packaging? 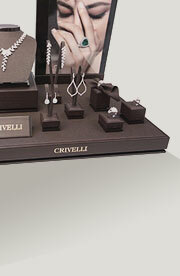 Jewelry display set are studied to enhance and emphasise your products, providing so a valid support to sale. For this reason, it is important that a jewelry display set would reflect the "personality" and the shop style and highlight colours and materials of your jewels : the finest and most precious ones should be exposed on elegant fabric, such as velvet and silk, while the more informal necklaces, maybe dedicated to a young target or drawn for a more casual outfit, they can be exhibited in a more creative and funny way. It is important to create a colour contrast between display and jewels, so that the latter could stand out immediately in the eyes of prospective buyers: a good idea would be to place points of light and crystals on a dark display for jewerly to enhance their brilliance. To sell, being beautiful is not enough: it is also necessary to create a custom and unique image, which makes your shop different from all other jewelry stores. Depending on your needs, we will take care of your shop, starting from the design of your jewelry display set by offering the best in terms of quality, materials and speed of implementation, all with the guarantee of Made in Italy. 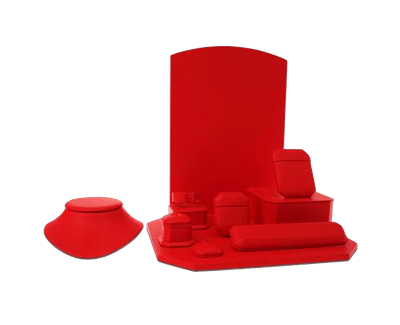 That's why To Be Packing offers a wide range of jewelry display supplies, not only elegant but also customised, according to your needs: from jewelry roll with your shop name to custom packaging that revokes the style of your store. The elegance of leather and the softness of velvet are just some of the materials with which we are going to upholster your display. Design, quality and craftsmanship, even in limited edition. This elegant jewelry display bears the name of one of the most romantic and seductive city in the world: its soft and sensual shapes will conquer even the most sentimental customer. To Be Packing makes your jewels even more valuable!